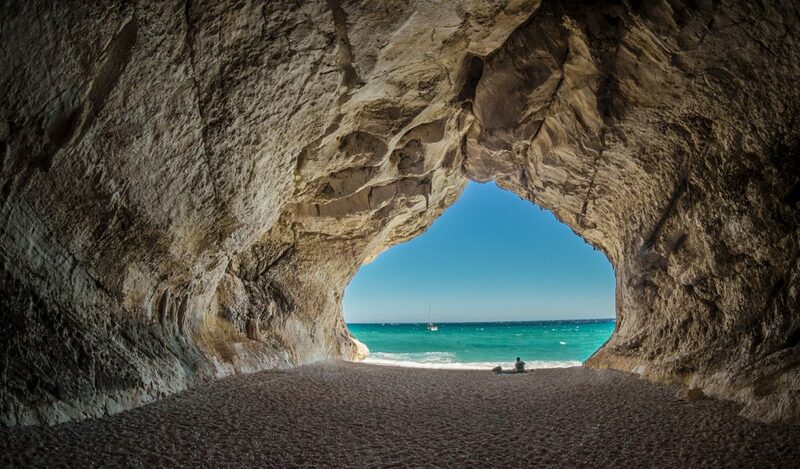 There has been an increasing interest lately about Cala Luna in Sardinia not only because of its unspoilt beauty and wild appearance but also because it has been chosen as one of the 22 most amazing places to visit in the world by the Skyscanner travel experts. 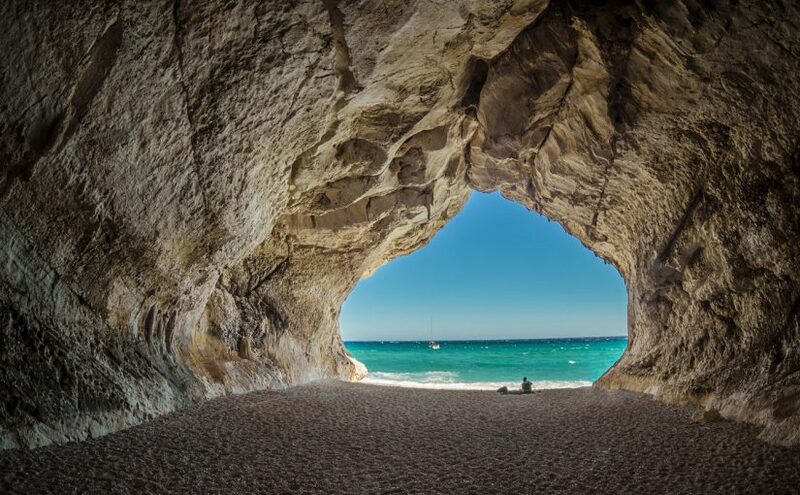 However, there is not much information about how to reach the amazing beach of Cala Luna considered one of the most symbolic beaches of Sardinia and of Mediterranean sea. Located in the east coast between the areas of Baunei and Dorgali (08040 Baunei OG – view Cala Luna in GoogleMaps) Cala Luna can be accessed by land (the nearest airport is Olbia Costa Smeralda where you can rent a car) and by sea. Cala Luna can be reached easily by sea, through the service provided by some boats companies leaving from the nearby port of Cala Gonone and from the Marina di Orosei beach. You can check this page for roundtrip fares or for combined trip for both Cala Luna and the Bue Marino caves (large marine caves with stalactites, stalagmites and rock sculptures) from July 09 to September 21. We suggest reaching Cala Luna by boat for tourists travelling with children or people with reduced mobility. On the other hand, for trekking enthusiasts the promenade along the coast to Cala Luna is a breathtaking path. Reaching the beach by land requires a couple of hours as between the two beaches there is a distance of 5 kilometres: the path that starts from Cala Fuili involves challenging traits walking above the caves of the Bue Marino, Grotta Nuova and the “gola di Oddoana”. Given the length and the difficulty of the route, we suggest walking to the beach and then returning by boat to Cala Gonone; moreover, we suggest wearing trekking shoes and carrying a lot of water as during the summer it can be very hot. If possible, we suggest walking this route during the spring or early summer when the beach is not overwhelmed by tourists and still retains that peace and tranquillity that combined with the beauty of the place make Cala Luna a place that is difficult to forget. For the trivia curious: Cala Luna was the set of a romantic comedy movie entitled ‘Swept Away’ (Travolti da un insolito destino nell’azzurro mare d’agosto in Italian 1974) by Lina Wertmüller; the same movie has been also a remake (2002) starring Madonna.